Thread: Red Pocket Max speeds? Im considering switch to red pocket. my phone can support any of their networks. What is the max speeds for each network? most prepaid have max speed cap compared to post paid. T-Mobile? is it 20 Mbits LTE? There's no max cap on Red Pocket AT&T. My yearly plan hits 70-80mbps at my closest tower. Which also is around the same speeds as my IPhone 7 directly on AT&T post paid. As far as VZW goes, officially as an MVNO they would be providing 5 Mbps down/2 Mbps up (approximately), which is what all their MVNOs have been providing. However, lately there appear to be a few MVNOs associated with VZW that are sporadically cracking that limit, with increasing speeds reported from the field. Time will tell. H20 started capping at 8mbit, I think its a matter of time before all AT&T mvnos get capped. I rarely pull more than 6 down. The AT&T purists on the LTE speed thread say I should get a real plan and not post there lol. I get the same both on red pocket as I do on AT&T Postpaid. Also depends on the device as well. I keep telling them it shouldn't make any difference with the right equipment. For Att side there is no speed cap though device/local conditions may affect it. Cricket and H20 are choosing the cap independently. When H20 started doing their speed cap I checked out three other Att mvnos including Red Pocket and all sources said that Att had nothing to do with H20's decision. H20 when on their own to Att to request a cap to keep their subscribers data usage under control. Sprint side should be same as Sprint prepaid and postpaid. Tmobile should be same as Tmobile prepaid and postpaid except Gosmart (which is capped at 1 mbps in many areas). Verizon should be same as any non Tracfone mvno/Verizon prepaid capped at 5 mbps. This does not cover the throttle speed cap. From what I understand that is different too from mvnos to prepaid divisions. I believe most Verizon mvno throttle caps are really low like 64kbps while Verizon prepaid may be 128 and higher. The Tmobile mvnos under Trac like Simple are reportedly at 64k too. I believe most Trac ones may be uniformly 64k but the throttle speeds on non Trac mvnos and prepaid divisions for the major carriers may all vary. That is a topic for another post. lol . And again, local conditions , device , oh yeah and NETWORK prioritization depending on congestion would affect mvno data speeds. That means as mvnos they are at the lower rungs of the pecking order and if its busy, postpaid will get first dibs and no slowdown (and if it's really bad even they get it) , next prepaid divisions and last mvnos. We pay a price for price. Tracfone and its subs are no longer throttled at 5 Mbps on Verizon: http://www.prepaidphonenews.com/2017...of-5-mbps.html Other non-Tracfone MVNOs apparently are still subject to the 5 Mbps cap that use Verizon. Just set my wife up with Red Pocket for a month on Verizon. It's capped at 5/2. There's no max cap on Red Pocket AT&T. My yearly plan hits 70-80mbps at my closest tower. Yours is the fastest I've seen, in fact it's the only one surpassing 20 or so that have been mentioned so far. 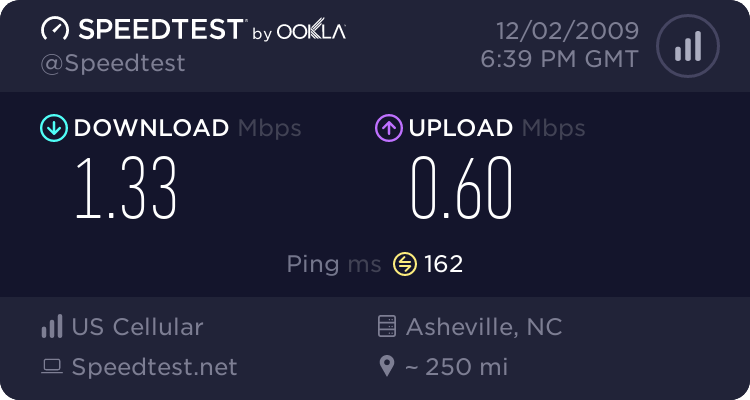 Please post a screen shot of those speeds and if others see this thread please post yours. Today I was near a tower with -72 dBM signal strength and struggled to pull 20 down on Red Pocket AT&T. Sure there's network variability and hardware differences but I'm getting skeptical of RP having no cap ... they're an AT&T mvno after all and I'm a bit surprised we're not seeing more posts about these lovely speeds. I will try to next to a tower tomorrow. I only get 1 change due to the low amount of data left on it at the moment lol. At home I average 8mbps but I also average the same on my postpaid account as well. Speed Difference iPhone 4 vs 3gs On Red Pocket??? ?